Australia’s first attempted political assassination occurred on this day, March 12, 1868, when Prince Alfred, Duke of Edinburgh, was shot while picnicking at Clontarf beach. Henry James O'Farrell was arrested for the crime and quickly tried, convicted and subsequently hanged on April 21, 1868. 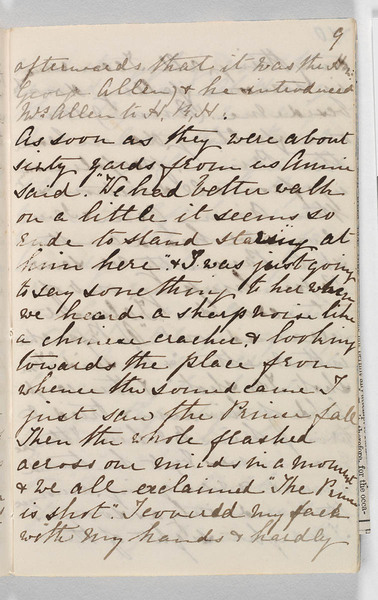 The State Library of New South Wales holds the personal account of Emily Nuttall Thorne, a young woman who witnessed the shooting at Clontarf. “The Prince is shot” Read more details of her experience, via the digitised version. A published account, Cozens, Samuel. 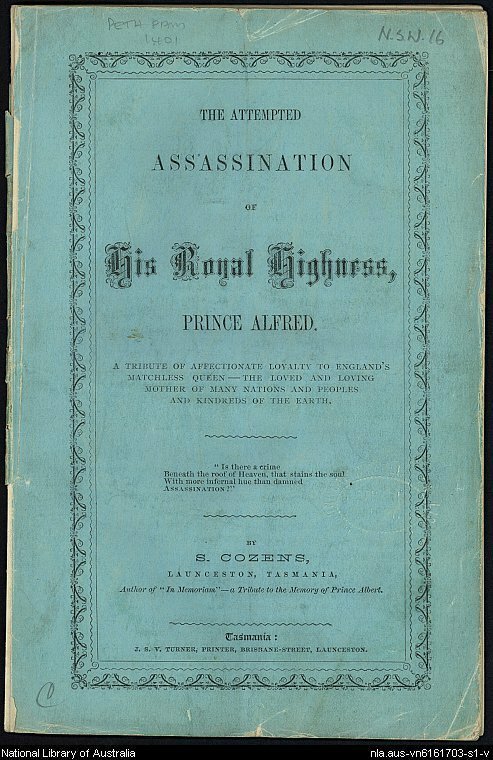 The attempted assassination of His Royal Highness, Prince Alfred is also available in our collection, digitised via Trove.